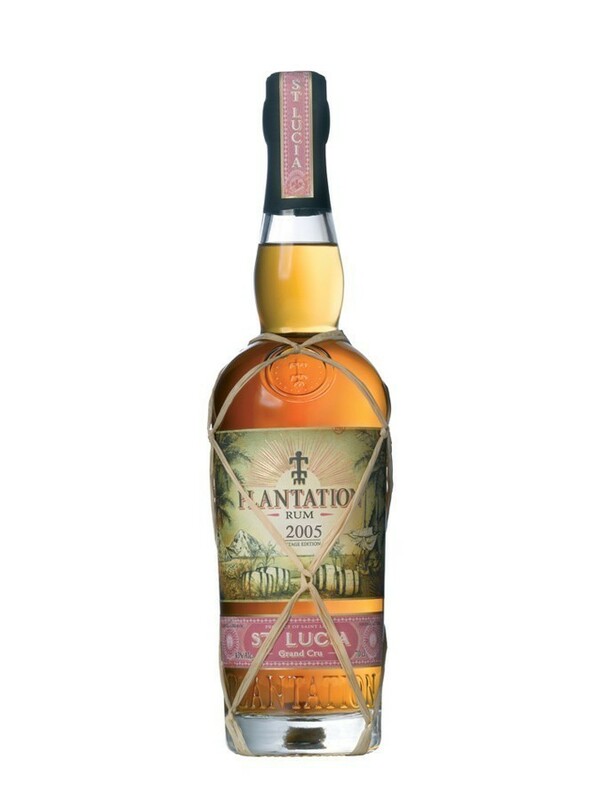 Have you found an online vendor selling Plantation St. Lucia 2005? Last version of this Saint Lucia Plantation with smoky notes on the nose. On the palate, it's very sweet with fruity aromas like banana and vegetable with sugar cane and floral notes that I can not identify. The finish is spicy with notes of dried fruit and oak also very present. Nice one. 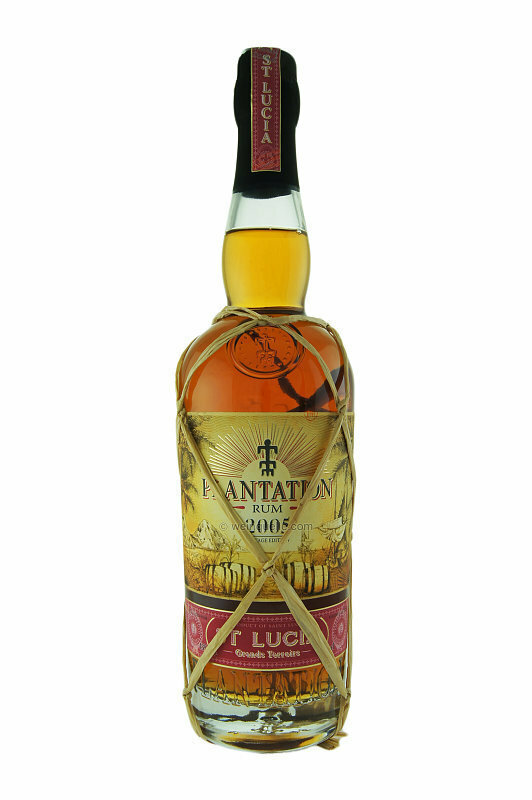 St. Lucian rums have a distinctive funk in the tradition of the great Jamaican distilleries. This is a great addition to the tiki bar for rich flavors and complex layering. Wow. After tasting this, many other popular brands taste like artificial blends. This is true craftsmanship. Plantation really elevate the game. Great rum for an affordable price. A bit of leather, liquorice in the nose. In the mouth a warm caramel and a bit to sweet. In der Nase dominiert das Holz mit einem medizinalem Unterton, Früchte und Karamell begleiten das ganze. Nasses Laub und Moos halten sich dezent im Hintergrund. Im Gaumen kommt die Medizin wieder an erster Stelle, kenne ich so nur von Rum aus Mauritius. Karamell und Kräuter sind auch mit dabei. Im Abgang schön lang mit viel Karamell und auch etwas Rauch. Dezenter als beim 2001. Beautiful rich amber in a glass. In the nose the wood dominates with a medicinal undertone, fruits and caramel accompany the whole. Wet leaves and moss remain discreetly in the background. In the palate, medicine comes first again, I only know it from rum from Mauritius. Caramel and herbs are also included. In the finish nice long with lots of caramel and also some smoke. More discreet than the 2001. Bon rhum Plantation. Facile à boire. Avec ou sans glace. Very interesting nose! Some caramel, which develops into cotton candy. Throughout, there's a good amount of brine. It's really a delight to smell. The taste is a bit like brine candy, but in a good way. 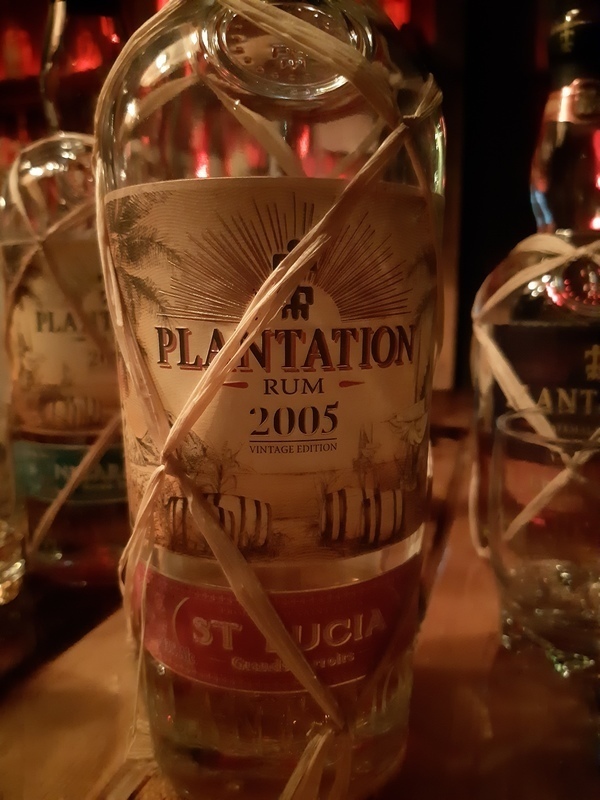 With a slightly smokey finish that hints at vegetal agricole, this rum is pleasantly complex, and easily one of my favorite offerings from Plantation. If only there was a dosage-free version, I would seek out a bottle for sure! Highly recommended for those wanting a rum that's a little "different," that just offers a little more, but is still moderately sweet and enjoyable. That said, the brine/pot-still esters will be divisive, making this a bit of an approachable litmus-test rum. I, for one, am glad it's here! After trying ~25 rums at Smuggler's Cove and elsewhere I had the opportunity to try this rum and without a doubt this was both enjoyable and is now among my favorite rums to date. Undoubtedly, it's the double aging in Bourbon casks and Pierre Ferrand barrels that attracts me to this rum. Αν βρεθεί μπροστά σας δοκιμάστε το είτε σας αρέσουν τα γλυκά ..... είτε τα "αλμυρά" !!!!! The Grand Terroirs has an oak smell, it taste like alcohol and is harsh. Not a great rum for me who likes the sweetness. Bon goût pour le prix. Assez léger avec des notes de melon au miel. Good rum for neofites, fresh, not complicated, with a good sweet fruit final. For his price is really good. Vraiment trop floral descend moin bien que les autres plantations. Rumy Plantation mám rád, ale Svatá Lucie je zklamání. Velmi podprůměrný rum. I purchased this because for the most part I have enjoyed Plantation Rum selections. Unfortunately, this one is a bottem shelver for me. It is extremely bitter and for almost 12 years of aging; it doesn't show. A rather atypical flavour that is a bit too smokey or perhaps even whisky-like for my taste. Sweet, fruity, banana nose. And a saffrane note that lingers which I did like.